Co founded in 1999 by Ben Clarke who has a background in customer service and Keith Edwards who is an experienced interior designer have seen the family business, based in the historic Roman city of Exeter in the south west of the United Kingdom, grow and grow and are now one of the leading lights in craft and hobby ribbon to the consumer. They have achieved this by offering their customers wonderful quality ribbon at affordable prices with excellent support knowledge and service. Ben explains ''we aim to get all our orders despatched within three days as customer service is one of our reasons of success​as many of our customers come back to us again and again." 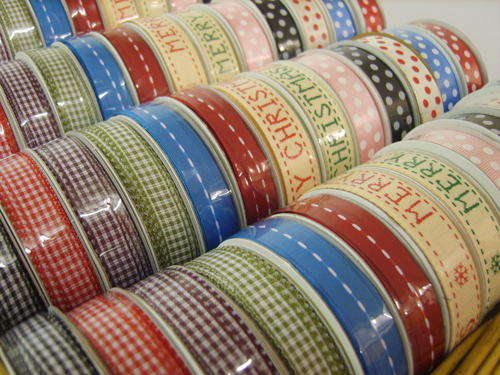 Fantastic Ribbons have over a decade of experience in ribbon and are passionate about their products. You may have already met the team as they exhibit at all the major craft and hobby exhibitions where they have built up a huge loyal fan base for thier beautiful ribbons. The current web site was launched in response to exisiting customers who wanted to either reorder or just to find out what's new. FantasticRibbons.com where you will not only find the newest designs and textures but the classic favourites.